Star Island Yacht Club attracts a wide variety of people year-round with a passion for cruising and fishing. 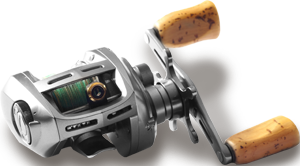 Fishermen and boaters come from all over the Island and up and down the East Coast to enjoy the excitement of seasonal sport fishing and access to an extensive fleet of charter boats. Star Island is also host to many fishing tournaments, cruising club rendezvous, and catered events, as well as Star Island’s own planned tournaments, including its renown annual shark tournament. No marina in the area offers more facilities and services. The Ship’s Store is one of the largest tackle shops with bait of every type, an expert staff, marine supplies including electrical, polishes and waxes, cleaning materials, marine safety equipment, boat batteries, collectors’ items, groceries, and a full repair service. Visitors can sit down for a casual breakfast, lunch and dinner at Star Island Restaurant, serving fresh locally caught seafood. Spend Saturday nights at Star Island Restaurant for live poolside music and dancing overlooking Lake Montauk and the ocean. With all it has to offer, Star Island Yacht Club is an inviting club and marina for all. We invite you to consider the possibilities at Star Island. The publication delves into the history of the business and everything it took to make Star Island the top sport fishing destination on the East End. 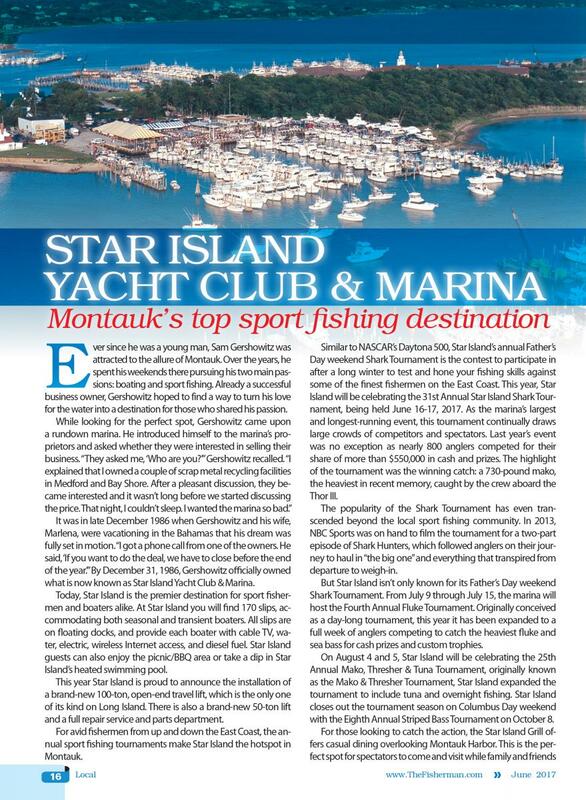 In the article, Star Island Yacht Club Owner, Sam Gershowitz, states, "I am proud to say that through the efforts of the dedicated staff ... [Star Island] is now one of the finest marinas on the East Coast."